Looking for a time to bead? Need help with a project? Want to learn something new? 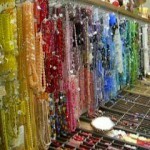 Come join us for our Bead PlayDates. These times are free and open to all. It is helpful to let us know you are coming but not necessary. We’d love to see you and bring a friend.